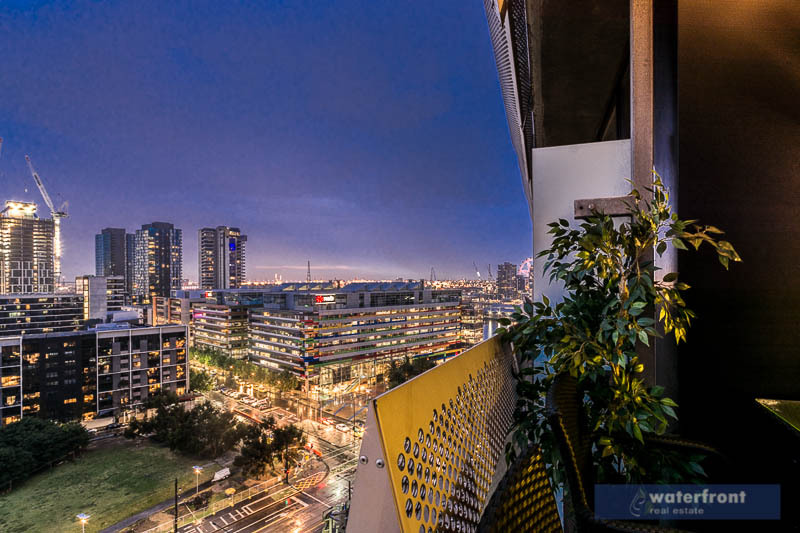 Waterfront Real Estate was established in 2005 servicing the Docklands area and surrounding suburbs. Our aim is to create the ultimate real estate experience for our clients with sights focus on achieving the best possible price. We have a diverse team with large networks to various communities in Melbourne. We understand every client is different and therefore focus on creating solutions that suit our clients needs. Our team at Waterfront Real Estate is our greatest asset. Our team are continually finding ways to be innovative, to be different and to achieve record selling prices. We are very mobile. Our sales consultants reside throughout different parts of Melbourne so we will come to you for your real estate needs. We understand that some vendors are unsure where their property sits on the market in terms of price and demand. We have an honest and transparent approach to real estate services. We will give our clients a detailed market analysis of their property giving them full disclosure of recent sales prices and comparable sales in the area. We don't want to complicate things and make the listing and selling process easy to understand from day one we meet our clients. This will allow our clients to make an informed decision when listing their home with us. It's simple, we will give the facts and together we will suggest multiple solutions and chose the best solution to market our clients property. We will never stop learning and strive to update our skills. Our team is up to date with current property trends, market research and real estate legislation and we will strive to deliver results in any given area. Property Marketers - We aim to stand out from the crowd and in the way we do things. We see things a little different and we aim to be professional marketers of your property. The more genuine buyers we attract from the market, the better the end result. Often mistakes made by Estate Agents is setting a price from the first point of contact with their Vendor which can lead to frustration and disappointment when that set price is not acheived. However we believe that there is more than just setting the price and that is giving the property maximum exposure through marketing. Integrity - We believe in being open and transparent in everything we do with our clients. Honesty and ethical behaviour at Waterfront Real Estate is a key value we strive in every day. We aim to do the right thing for our Vendors the first time. Team Effort - Results are achieved through our team efforts. Every property that sells or lease at Waterfront Real Estate is not handled by one individual but multiple people in our business. From appraisals, listing, leasing and selling and settlement of your property, be confident to know that behind the scenes your property is being cared for. Our focus is our Vendors or Landlords and we share our ideas and information on how we can better serve them. Respect - We treat all people with respect which allows us to create relationships for future business. Our people at Waterfront Real Estate know this value is very important in delivering our services. We respect one another at Waterfront Real Estate and we respect your needs as property clients. Excellence - Everything we do, we always have one thing on sight and that is beating record prices in the area. We aim to be the very best in our craft of selling and leasing property. We look to pursue excellence any where we can and are always up for a challenge. Property Management - Our experienced Property Managers are dedicated in providing a hassle-free approach property management service. We carefully select quality tenants and build a database of prospecting tenants as extra exposure for your property when up for rent. We are experienced in handling complex issues that sometimes arise in tenancy agreements and will act on your behalf at VCAT for tenant related issues. We pro-actively manage in and between tenancies through performing condition reports, routine reports and final inspections. Residential Sales - Our diverse range of experienced Sales Consultants are eager to achieving success. We have made the listing and sales process simple to understand for our clients. We aim to understand your objective and look to provide a tailor made solution that suits you. We understand the selling of your home is a very important decision to make and chosing the right agent to sell your property is just as important. Our aim is to provide our clients with professional, positive and a successful real estate experience. We understand that selling a property is one of the biggest decisions you will have to make in your life and selecting the right agent is just as important. We’re not hiding behind fancy offices and big claims. We know what sells property and that’s marketing & persistence. It’s about strategy, hard work, putting in the hours, being courageous, negotiating aggressively and working with one aim: to sell every property for the best possible price. We will never stop learning and strive to update our skills with on-going training and development. Our team is up to date with current property trends, market research and real estate legislation and we will strive to deliver results in any given area.